As a Christmas gift, I gave my wife the book Susie: The Life and Legacy of Susannah Spurgeon, wife of Charles H. Spurgeon. She has thoroughly enjoyed reading about Susie. I recently purchased C.H. Spurgeon’s autobiography and have read about half of it. It is fantastic. Ruth and I have enjoyed discussing their lives and have been blessed by their wisdom. We enjoyed talking about this historic couple so much we decided to record a session for The Legacy Homeschool Reflections Podcast where Ruth and I share some of our favorite quotes. It was hard to narrow down which quotes we wanted to share, so we limited the discussion to quotes that pertain to family and raising children. 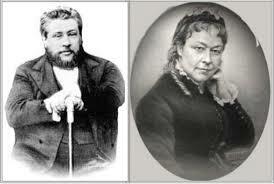 We hope you find this discussion and the wisdom of Charles & Susannah Spurgeon encouraging. Thanks for listening. 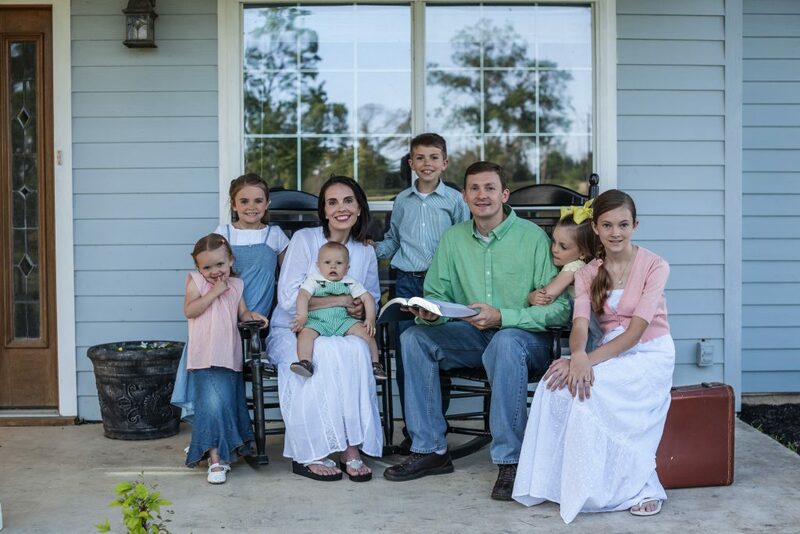 My wife and I recently had the opportunity to sit down and record for her podcast, Legacy Homeschool Reflections. In this episode we discuss the importance of family worship and offer some practical ideas on how to incorporate family worship into your daily routine. In the book, Susie – The Life And Legacy Of Susannah Spurgeon by Ray Rhodes Jr. there is a quote that sums up how Charles and Susannah Spurgeon felt about this daily practice. It has been my goal to model our family worship after C.H. Spurgeon and the Puritans. I hope you enjoy the podcast. May the Lord bless you and your family as you seek Him daily. What’s with Saturday Morning Breakfast? You may be wondering why there is a tab on this website entitled Saturday Morning Breakfast (SMB). If you have read SMB, you may still be wondering why this was created. SMB is a bit of an odd duck, so I decided to offer an explanation. You will find several things on Saturday Morning Breakfast. First, it is a bit of an eccentric dialog with myself, while in a groggy state, as I get up on Saturday morning and make pancakes or waffles for my family. It is partially a recipe for pancakes and bacon and partially a reflection of what most of my Saturday mornings have entailed for about 15 years. Most days of the week I leave early for work, but on Saturdays, I sleep in a bit. When I get up I typically make breakfast and then we have family worship. Yes, there is a recipe for pancakes, but the real recipe is the outline for family worship. If you are not currently having family worship, let me encourage you to make it part of your daily routine. It does not have to be complicated or ritualistic. It really is a very simple thing. Sing. Read the Word. Pray. These are the important elements that should be covered every day, if possible. Family worship does not have to take a long time, and it does not have to be complicated. If your children are not used to sitting still, start out by singing one simple hymn or praise song. Read a short passage of Scripture. There are lots of short Psalms. Then say a short prayer. If your children do not want to cooperate, you may need to lovingly discipline them. However, return to finish family worship. One thing to remember is that you want your children to enjoy worship of our great and mighty God. If you force them in anger it is going to exasperate them. Colossians 3:21 says, “Fathers, do not provoke your children, lest they become discouraged.” Exercise self-control and lead your family with a joyful heart. As this becomes routine you may want to add a catechism and/or other readings. The Catechism for Boys and Girls is an easy one to go through. There are many great books that can be helpful for family worship. We have enjoyed Israel Wayne’s books, Questions God Asks and Questions Jesus Asks. Dr. Joel Beeke also has a set of short stories that are great for family worship entitled, Building on the Rock. Adding these elements can be very helpful for engaging discussion and are good teaching tools. I have recently been reading C.H. Spurgeon’s autobiography and discovered some great stories about his involvement in family worship as a boy and a man. Even Spurgeon was a bit of a challenge as a boy. Enjoy this story and add family worship to your home today. When I was a very small boy, I was allowed to read the Scriptures at family prayer. Once upon a time, when reading the passage in Revelation which mentions the bottomless pit, I paused, and said, “Grandpa, what can this mean?” The answer was kind, but unsatisfactory, “Pooh, pooh, child, go on.” The child, however, intended to have an explanation, and therefore selected the same chapter morning after morning, and always halted at the same verse to repeat the enquiry, hoping that by repetition he would importune the good old gentleman into a reply. The process was successful, for it is by no means the most edifying thing in the world to hear the history of the Mother of Harlots, and the beast with seven heads, every morning in the week, Sunday included, with no sort of alternation either of Psalm or Gospel. The venerable patriarch of the household therefore capitulated at discretion, with, “Well, dear, what is it that puzzles you?” Now “the child” had often seen baskets with but very frail bottoms, which in course of wear became bottomless, and allowed the fruit placed therein to drop upon the ground; here, then, was the puzzle,—if the pit aforesaid had no bottom, where would all those people fall to who dropped out at its lower end ?—a puzzle which rather startled the propriety of family worship, and had to be laid aside for explanation at some more convenient season. Queries of the like simple but rather unusual stamp would frequently break up into paragraphs of a miscellaneous length the Bible-reading of the assembled family, and had there not been a world of love and license allowed to the inquisitive reader, he would very soon have been deposed from his office. As it was, the Scriptures were not very badly rendered, and were probably quite as interesting as if they had not been interspersed with original and curious enquiries. I can remember the horror of my mind when my dear grandfather told me what his idea of “the bottomless pit” was. There is a deep pit, and the soul is falling down,—oh, how fast it is falling! There; the last ray of light at the top has disappeared, and it falls on—on—on, and so it goes on falling—on—on—on for a thousand years! “Is it not getting near the bottom yet? Won’t it stop?” No, no, the cry is, “On—on—on.” “I have been falling a million years; am I not near the bottom yet?” No, you are no nearer the bottom yet; it is “the bottomless pit.” It is on—on—on, and so the soul goes on falling perpetually into a deeper depth still, falling for ever into “the bottomless pit”—on—on—on—into the pit that has no bottom! Woe, without termination, without hope of its coming to a conclusion! I am sure the young Spurgeon had some serious thinking to do after this grave warning from his grandfather. As you incorporate family worship into your daily routine remember it is not always easy, but it is a great tool for discipling your children and drawing their hearts close to yours. For the last several months my fifteen-year-old son and I have been planning to take an over night canoe trip down the Colorado River in Texas. Every time we have had a weekend that would work the river has been too high. We have had a lot of rain. This past weekend we were planning to go when something else came up. We were supposed to drive to Oklahoma and pick up a friend. We decided we could camp a night in the Ouachita Mountains instead. Unfortunately, that fell through at the last minute. We thought we could turn back to the canoe trip again, but the weather showed rain on Friday and high winds on Saturday. That is not the kind of weather that makes a fun canoe trip. The view from our hike. My son and I have been going on camping trips for years. We both love spending time together around a campfire under the stars. He was disappointed when everything fell through. Saying a quick prayer, I asked the Lord for wisdom. I took a quick look at Texas weather and saw that the rain was going to stay east of Garner State Park. The only question was, would there be any open sites? 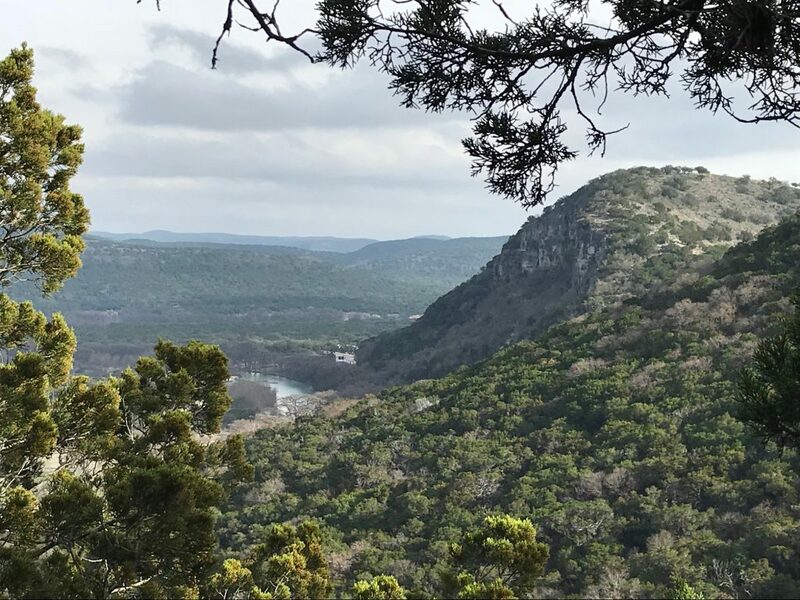 Even in the winter Garner is one of the most popular state parks in Texas, and the weather was looking pretty good. I jumped on the Texas State Parks website and to my pleasant surprise there were plenty of sites available. The next morning, we hit the road for the 4-and-a-half-hour drive to our destination west of San Antonio. 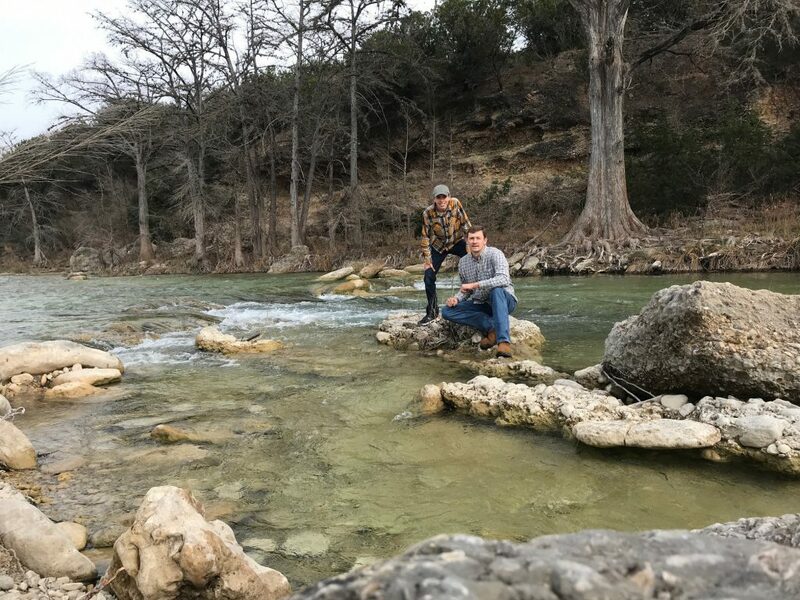 Garner State Park lies on the crystal-clear waters of the Frio River. My son and I spent the afternoon hiking the hills, exploring caves, and skipping rocks across the cold clear waters. The hymn, This is My Father’s World kept coming to mind as we looked at the beautiful scenery. After a sausage and chili dinner we sat around the camp fire and read a couple chapters in the Bible. I am so thankful my son has developed a love for the Word of God and is happy to sit and discuss scripture. To my surprise, the young man suddenly said, “Daddy, I am not a father, and this may not be my place, but there is something I want you to always tell other dads to do.” This peaked my interest and I asked him to proceed. My son said, “Remind fathers to enjoy their children.” He went on to tell me how much spending time doing fun things, like camping, has meant so much to him. He also pointed out an anecdotal example of another family we know that has 10 children with the youngest being 13. Most of the children are adults now and all of them are professing Christians with good character. They are also a joy to be around. The father is a Godly man that has spent a lot of time with his children, going on fun adventures. He contrasted this family with another who has had issues, and, in his opinion, he did not see the father spending much time doing things with his children that they enjoy. I do believe my son’s observation is something important to consider. While I am not advocating that a father turn his house into a circus of nothing but fun and games, it is very important to cultivate an atmosphere of joy in the home. There must be a balance of discipline, character training, Biblical discipleship, and fun. These focus areas are not mutually exclusive. My son and I were able to have some serious discussion about defending his faith and standing up under trial. Yet these serious matters go hand in hand with doing things we love to do. Children will always remember the fun times that had with their dad. I believe enjoying time with a child is one of the most important tools in gaining their heart. When they are enjoying time with their father, they are often more open to listen. These are great moments when you have a unique opportunity to share the hope that is within you (1 Peter 3:15) with your own children. Dad – enjoy your children. It won’t be long, and the opportunity will be gone. I understand camping is not for everyone but consider how you might enjoy spending time with your children. Here are some ideas. Dads, lets enjoy our children and pray for the fruit of tender hearts toward you and toward our God.